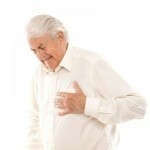 Chest muscle pain could be an indication of a serious medical condition. Most of the time, this type of pain is considered to be a medical emergency that required immediate attention. 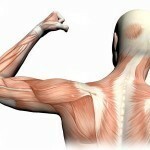 Patients usually suffer from a sharp pain at the upper, lower, right as well as left part of their chest area. People can learn more about this painful condition by taking a closer look at its various symptoms, causes, diagnosis as well as treatment. 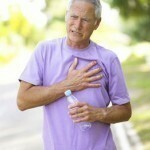 People suffering from chest muscle pain typically experience a sense of heavy pressure in the chest area. The patient experiences a sense of distinct discomfort. 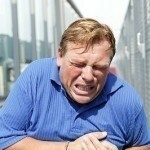 If the cause of pain is related to a heart attack, the patient may feel a stabbing pain in the chest. In the meantime, a feeling of fullness in the chest area can cause the patient to suffer from chronic pain. When the patient has a sensation that seems like the chest is being squeezed, one can expect severe pain to follow. Other common symptoms associated with this tingling and painful experience are shortness of breath, palpitations and dizziness. This medical condition has many causes, some of which are cardiopulmonary in nature. These include major causes such as arrhythmia, pneumothorax and pulmonary embolism. Other common causes for such tingling pain are aortic dissection, pericarditis and acute coronary syndrome. Pain in the chest area can also be experienced due to psychological factors like clinical depression, anxiety and panic attack. There may also be some chest wall problems such as fibromyalgia, spinal nerve problem and costochondritis. Physicians also consider lead poisoning, precordial catch syndrome and sarcoidosis as possible causes. The diagnosis of chest muscle pain is very important in order to determine the real cause of the problem. Patients usually undergo physical examination after their medical histories are checked. They will also be asked to undergo a CT pulmonary angiogram, x-rays and an electrocardiogram. Blood tests are also part of the process, in which their creatine kinase, liver enzymes and complete blood count will be analyzed. It is highly important for the attending physician to focus on the patient’s family history, risk factors as well as health changes. If the pain is caused by over-exertion or injury, there is no need to go to the hospital. In fact, patients can treat is at home. Over-the-counter drugs like ibuprofen and acetaminophen can help alleviate their painful conditions. They can also apply some heat or ice pressure to the affected areas to ease up the pain and swelling. Of course, ample amount of rest is very much needed to help the body recuperate quickly. If the cause of pain is not known and if it is not a consequence of an injury or exertion, it is best to immediately seek medical assistance.